Hi crafters! 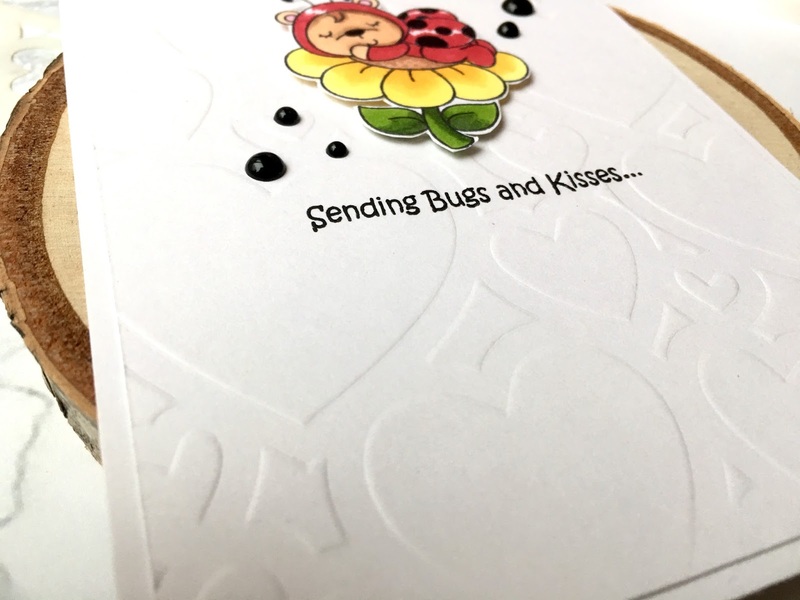 It's Ashlea and I'm back today to show you a really simple yet effective technique to use on your Clean and Simple (CAS) cards to give them a little something extra. All of us love to use our supplies is multiple ways. It saves us money and expands our stash a long way. Using stencils to emboss is a great way to multiply the use of inexpensive stencils that you already own. To do this most effectively, you'll need an embossing pad. These are about $6/each and well worth the bit of money. 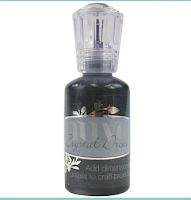 This tool allows you to emboss things rather than cut through completely with your die cutting machine. 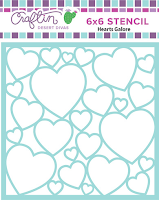 This will work with stencils and dies just the same. For the purpose of this post, lets focus on stencils. To begin I put the base plate down on my cutting machine (A). Different machines will call for different set ups, so check the manufacture settings before you begin. After the base plate is down I put my impression or cut plate (B) down and add the embossing pad on top of that. To that I add my card stock, the stencil, and the top plate (B2). Depending on the thickness of your card stock and/or stencil, you may want to add some scrap card stock pieces underneath your cut plate to create a deeper impression of the stencil. It all depends on the look you're going for. 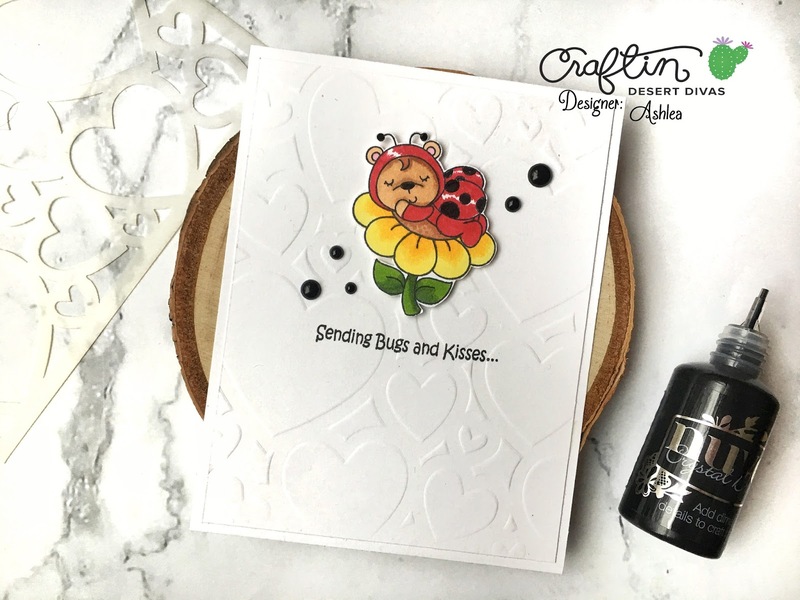 To finish off my card, I adhered this adorable wannabe ladybug resting on a flower from the Craftin Desert Diva's stamp set Ladybug Garden. 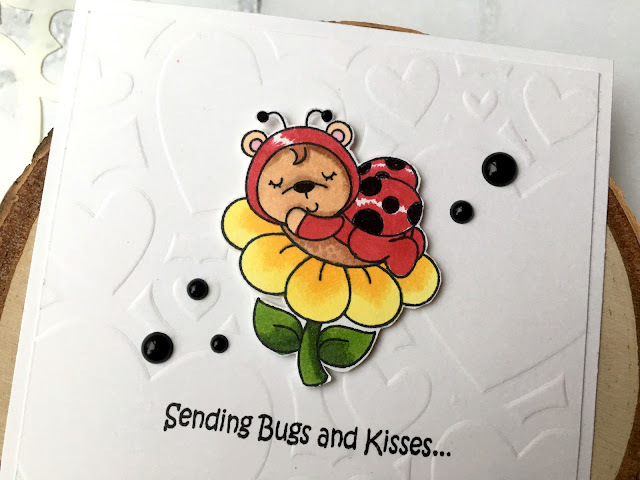 The cute sentiment "Sending Bugs And Kisses" pulls it all together along with the Nuvo Crystal drops in Black to compliment the black spots on the ladybug. I hope you've enjoyed learning how I create dimension and interest by embossing with stencils. Let me know if you've tried this yourself or what your favorite techniques are! See you soon! Adorable!! 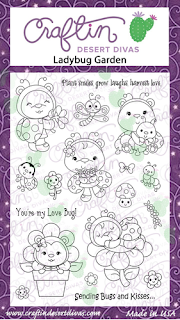 Love the embossed background and that cute little ladybug!! That’s a sweet card ! The embossed background is gorgeous !